Look as sweet as candy in Madison James 18668! 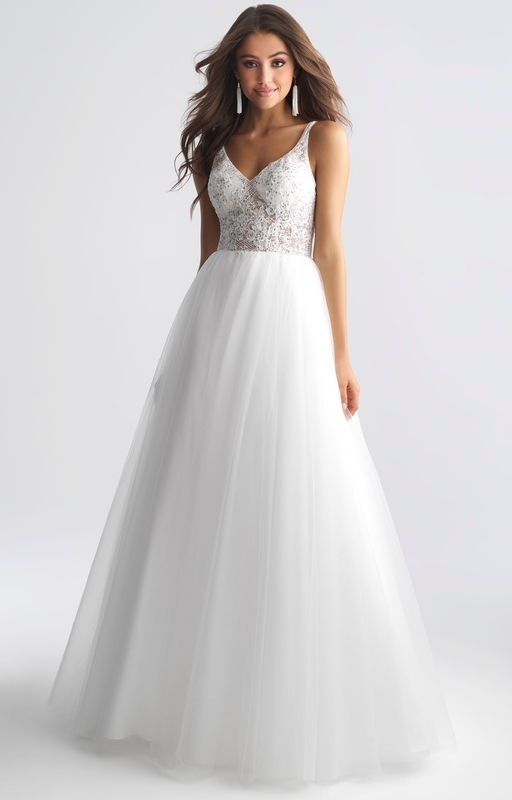 This darling tulle ball gown showcases a lace V neckline bodice with shimmering beaded appliques placed throughout. Complete with a low scoop back, this dress is one to be remembered!